This project was for our anatomy course. 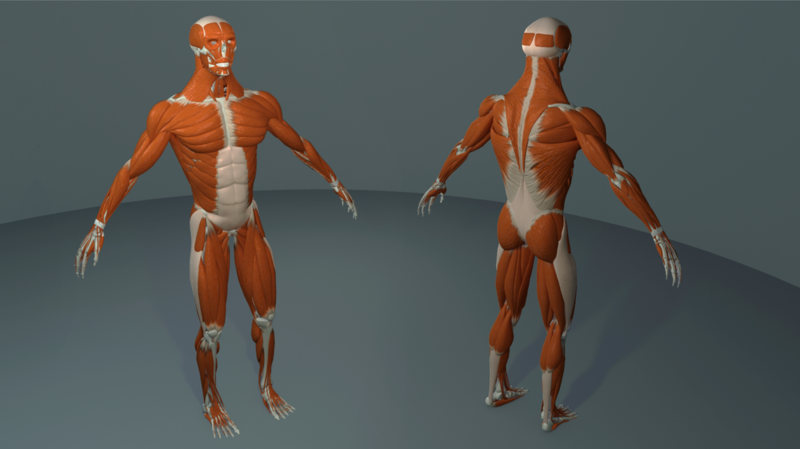 During this course we were expected to study all the bones and superficial muscles of the human body. The obtained knowledge then had to be converted into a complete 3D model.